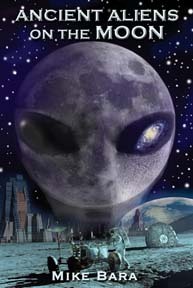 In this instantly down-loadable Ebook, researcher and DARK MISSION coauthor Bara tells us that ancient entities, possibly of extraterrestrial origin, lived on Earth long ago and established bases in various locations throughout the solar system, the Moon being one of them. What did NASA find in their explorations of the solar system that they may have kept from the general public? How ancient really are these ruins on the Moon? If there were ancient aliens on Earth’s moon eons ago, what were they doing there? Photographic evidence suggests that the space agency discovered ruined structures on other orbs, including our Moon. How may they have intervened in the development of life on Earth? And if there are ancient ruins on the Moon, what happened to the builders of them? Using official NASA and Russian photos of the Moon, Bara looks at vast cityscapes and domes in the Sinus Medii region as well as glass domes in the Crisium region. Bara also takes a detailed look at the mission of Apollo 17 and the case that this was a salvage mission, primarily concerned with investigating an opening into a massive hexagonal ruin near the landing site. Finally, he investigates the theories and evidence that the Moon may be an artificial structure. Chapters include: The History of Lunar Anomalies; The Early 20th Century; Sinus Medii; To the Moon Alice! ; Mare Crisium; Yes, Virginia, We Really Went to the Moon; Apollo 17; The Russians, Clementine, LRO and the Race to Go Back; more. Tons of photos of the Moon examined for possible structures and other anomalies. Check this one out on your tablet!